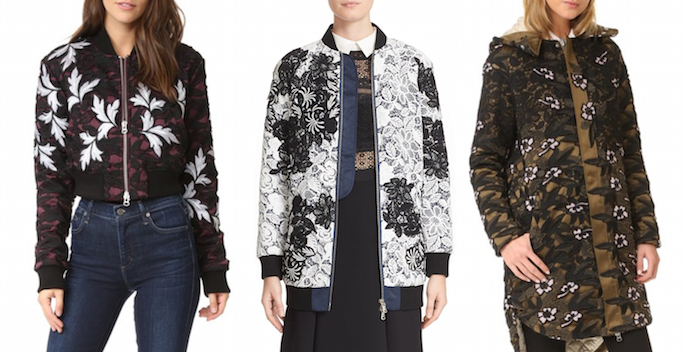 It's cooling down outside but Self-Portraits statement outerwear is heating things up! Self-Portrait dresses have become a hit among bloggers, celebrities and fashion editors in the recent seasons and this fall they've added enviable lace bomber jackets and show-stopping lace parkas to their collection of romantic wearable clothing. Though the price tags aren't cheap, Self-Portrait jackets will take your outerwear game to the next level. If you're a fiend for a deal like I am, check out Self-Portrait on Sale (up to 30% off through Oct 14th with code MAINEVENT16 at checkout)!